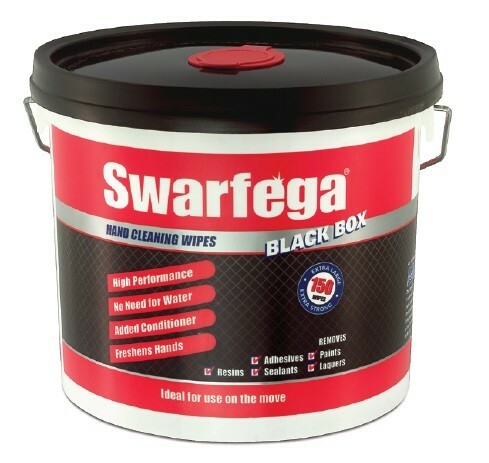 Swarfega Black Box Wipes industrial hand cleansing wipes. Heavy duty paintshop hand cleaning wipes to remove paints, seam sealers, and resins for use in the bodyshop or at the mobile workstation. Suitable for use without water. Tough extra large wipe combined with powerful HI-TECH liquid heavy duty hand cleanser removes: synthetic, 2 pack and cellulose paints; base coats and lacquers; body fillers, adhesives and sealants, plus most other refinishing soilings. Usage: for use at the end of each work period, or more frequently if required, to effectively dissolve oil, grease, and heavy soilings. Method of Use: Use wipe to loosen all soilings. Convenient - this handy, easy to use tub can be kept at the work point and can be used throughout the day with no need for water. Conditioning - it contains glycerin which is a highly effective moisturiser that leave the skin feeling conditioned after use. Highly effective - impregnated with an advanced hi-tech formulation liquid that includes dibasic ester to easily and safely remove synthetic, 2 pack and cellulose paint, base coats and lacquers, body fillers, adhesives and sealants, plus most other refinishing soilings. 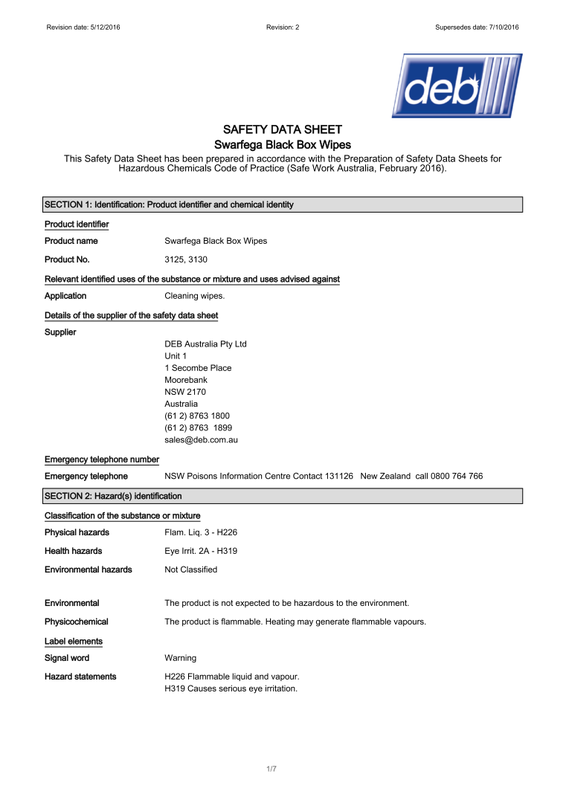 Hygienic - this is stored in a sealed container to avoid contamination. This ensures each wipe is fresh when used. Perfumed - it has pleasant citrus smell which leaves the skin smelling fresh after use. Powerful - it is tough, extra large wipes which are strong and absorbent, acting quickly and effectively leaving no sticky after-feel.